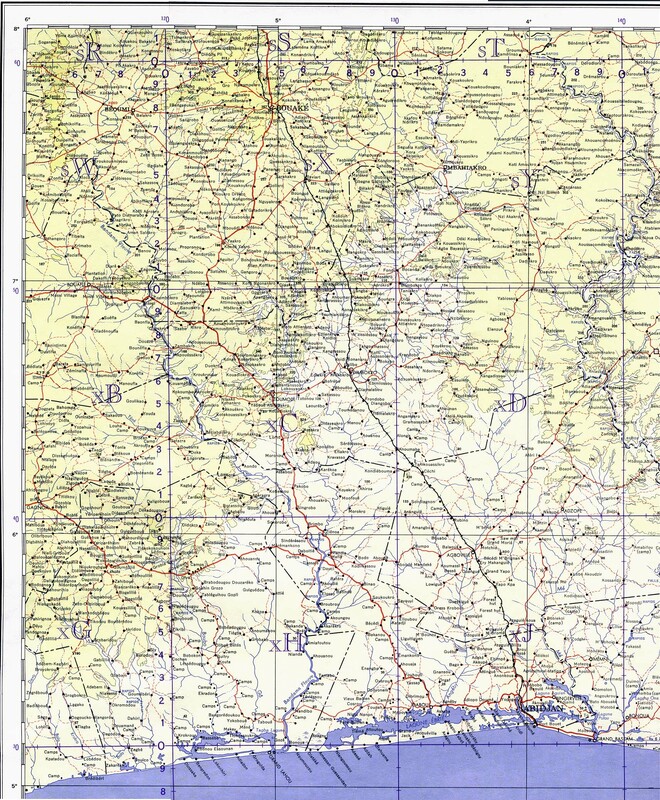 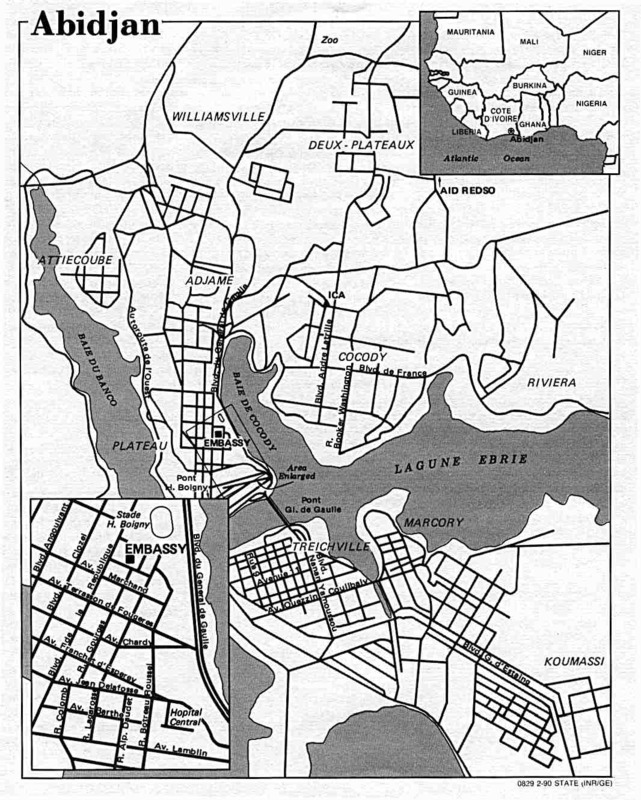 Portion of sheet NB 30 "Abidjan" from Series 1301, Edition 4-AMS, 1959 (1.2MB) See International Map of the World, above, for other maps in the series. 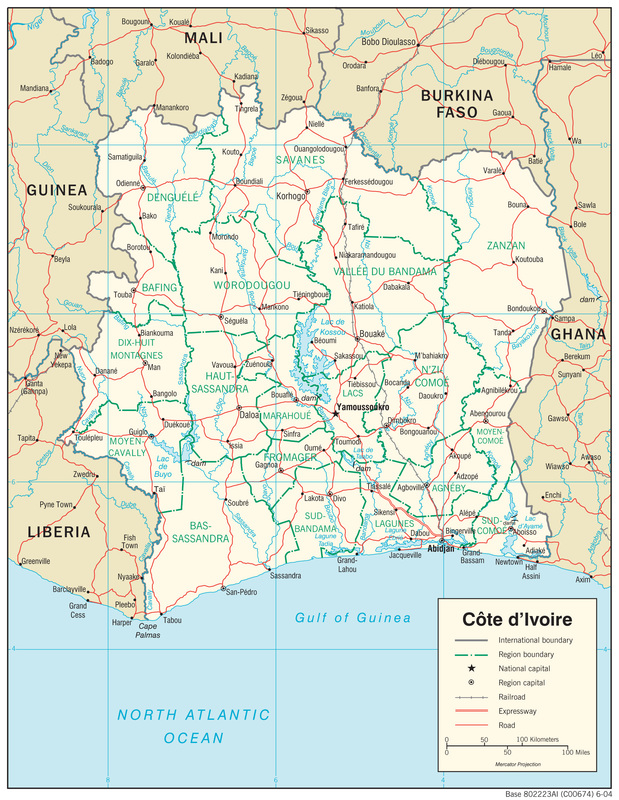 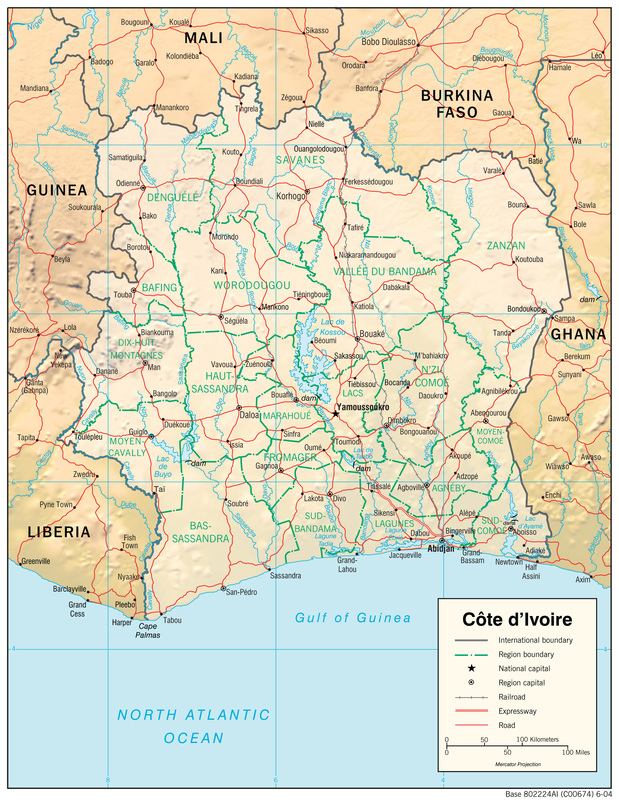 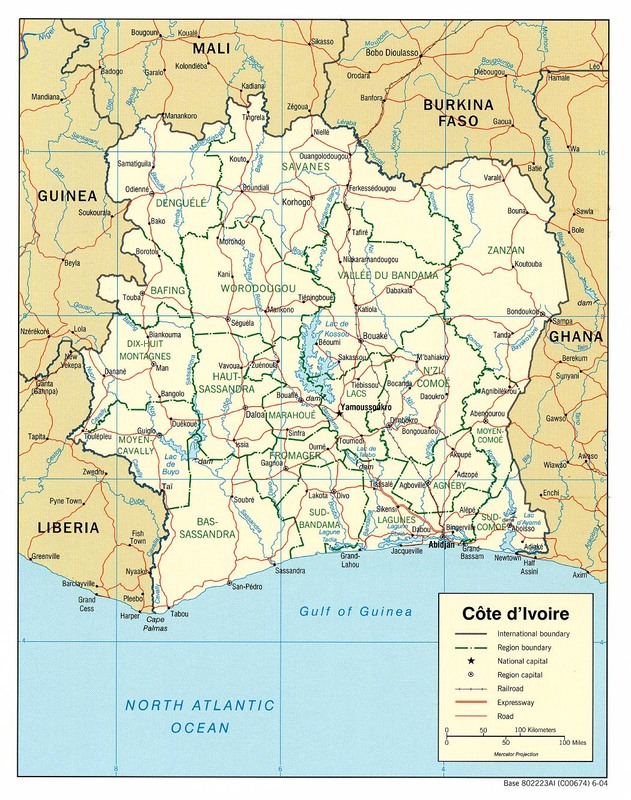 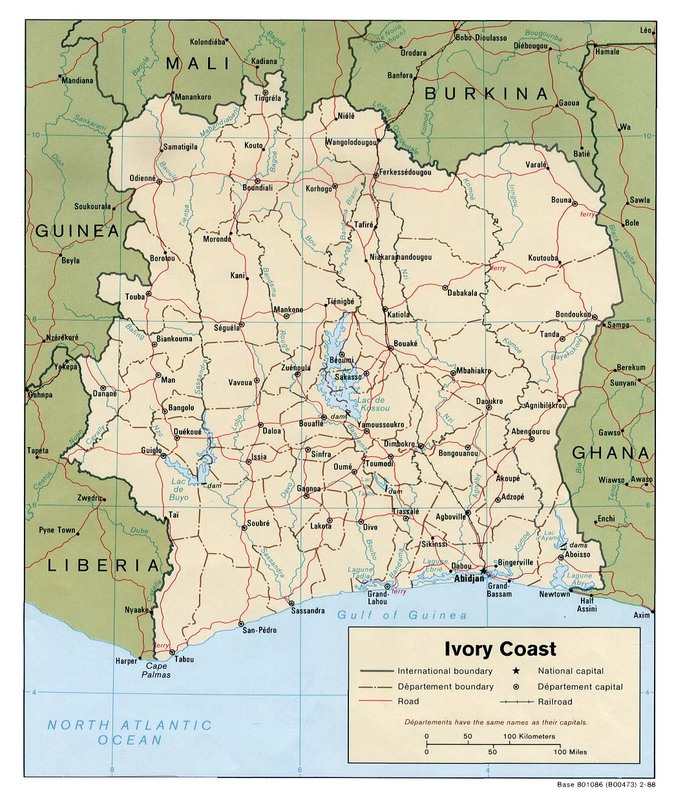 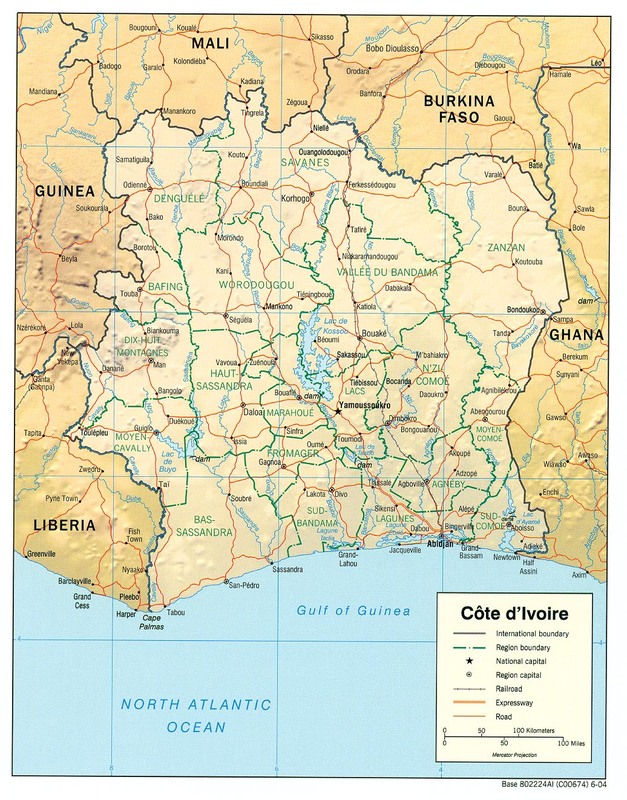 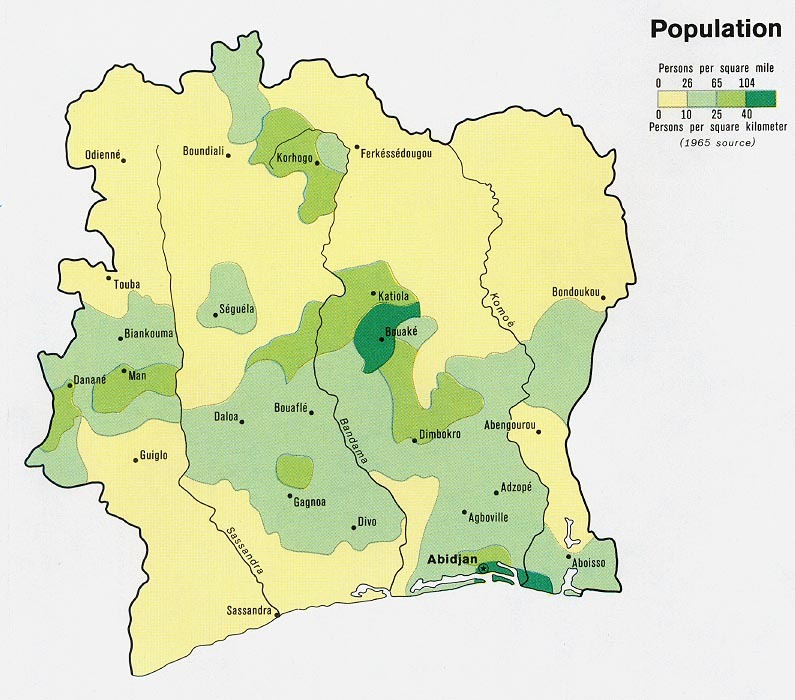 Ivory Coast - Economic Activity from Map No. 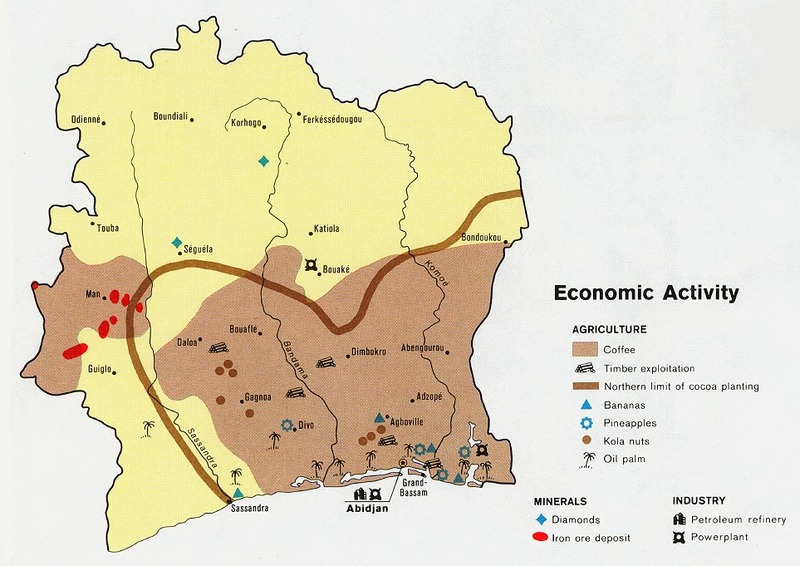 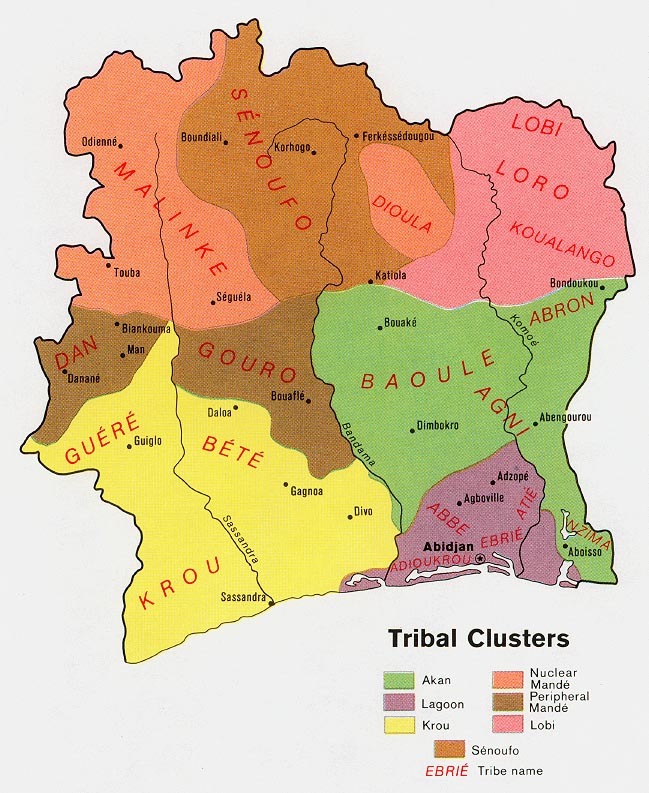 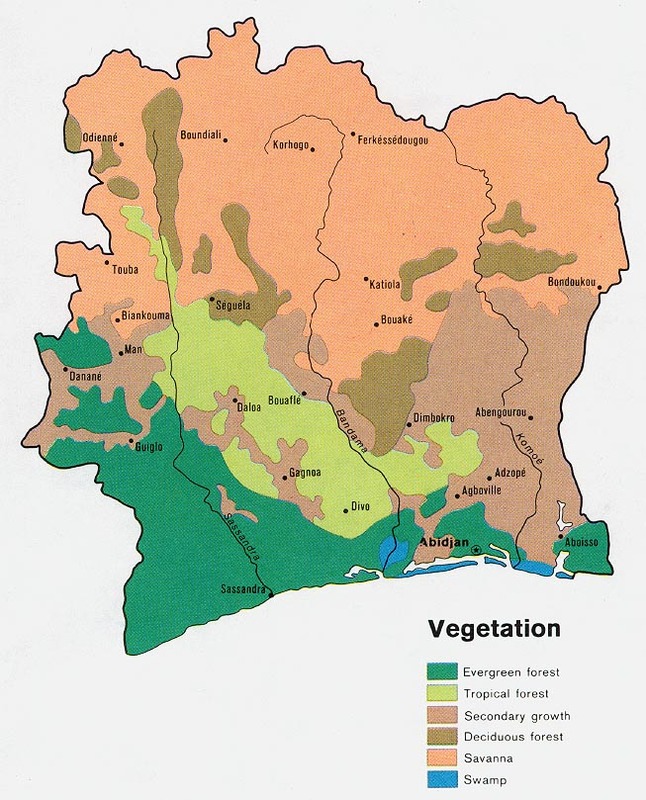 500455 1972 (147K) Map shows cocoa and coffee growing areas and locations for other agricultural products, minerals and industries.